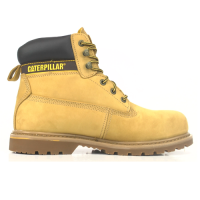 Fully waterproof safety boot with steel toe & midsole protection. 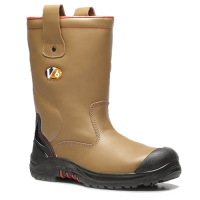 Water-resistant leather upper and waterproof breathable mesh lining. Reduces foot fatigue with its shock absorbing heel. Comfortable and durable TPU/PU Sole Unit. Grooves on the outsole channel away fluids for superb traction. Padded bellows tongue. Handy pull-on fabric loop at back. Bump cap provides added protection to the toe. SRC slip resistance.